Gulf war veteran Carl Foulkes, who hails originally from Caergwrle, was speaking after his appointment was confirmed by the North Wales Police and Crime Panel today. They backed the choice of the region’s Police and Crime Commissioner, Arfon Jones, of Mr Foulkes, 47, as his preferred candidate following a rigorous two-day interview process in early August. As well as returning back to the region to live, Mr Foulkes has also promised to make it a priority to learn Welsh – having already signed up to an intensive course later this autumn. He will take up his new role heading up North Wales Police early November. Born at Wrexham Maelor Hospital, Mr Foulkes spent the first few years of his life in Caergwrle before the family moved to Scotland and later to the East Midlands because of his father’s work as an aircraft engineer. After serving in the Royal Navy and seeing active service in the first Gulf War, he spent 10 years working for British Transport Police before joining West Midlands Police prior to becoming the deputy chief constable of Merseyside Police. He has national portfolio responsibility for Assisting Offender Debriefing under SOCPA, Open Source Investigations and UK Protected Persons Service (UKPPS). Mr Foulkes is married with a teenage son and enjoys outdoor pursuits including running, walking and cycling. “I’m not sure many chief officers get the opportunity to be the chief constable in the place that they were born, where their family live, where they genuinely love the area,” said Mr Foulkes. “I am also really excited about the opportunities to make a real difference to the communities of North Wales. “I want to work with the Police and Crime Commissioner around diverting addicts away from drugs and being more preventative and problem-solving in our approach- and working with partners to be more preventative. “I want to ensure that our officers have state of the art equipment and technology so we can do things like fingerprinting out on the street and accept dash cam footage and other information via social media. “I want our officers to operate as effectively on the street and in people’s homes as they do on the internet when they are in a police station. “I can’t do any of that without the right people so I want to be very clear about how I support them, their wellbeing, their mental health and their physical health. Mr Foulkes said his two main priorities include protecting vulnerable people – including victims of domestic violence – and tackling serious and and organised crime, such as the emerging threat of County Lines. “We need to drive out serious organised crime that so that people are happy to live here and feel confident in their communities,” added Mr Foulkes. “But the first three months for me will be very much around internal and external engagement, getting out and about to meet our staff and our partners. 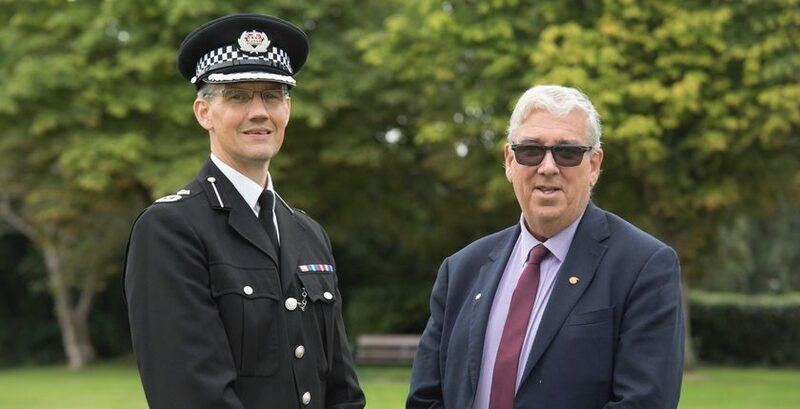 North Wales Police and Crime Commissioner Arfon Jones added: “I am delighted that the Police and Crime Panel have endorsed the appointment of Carl Foulkes as our new chief constable. 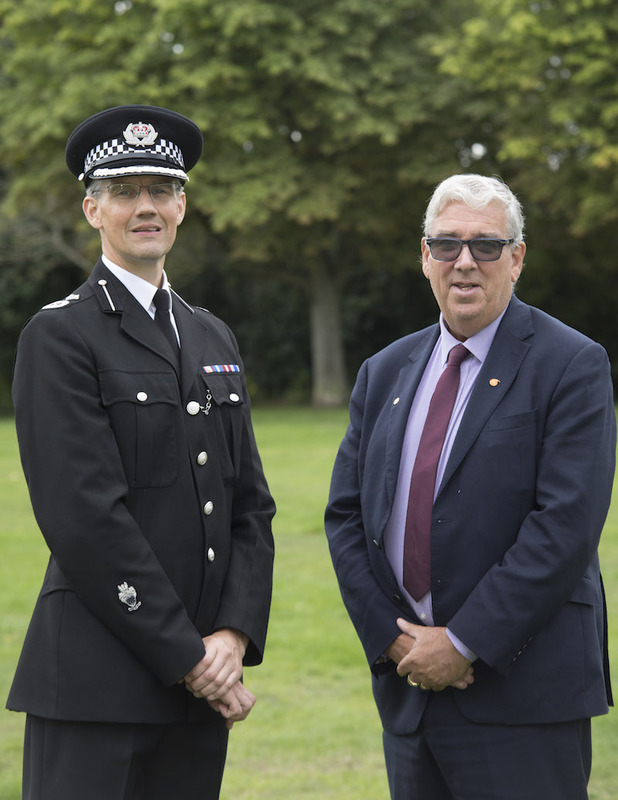 “As well as being a first-class chief officer, he is a man of great vision and integrity and will build on the excellent work of his predecessor Mark Polin in shaping a force that is effective and efficient whilst being responsive to new and emerging crimes.